We'll bring the legos, you bring the builders! 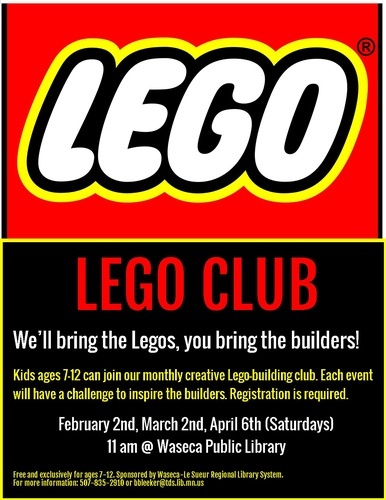 Kids ages 7-12 can join our monthly creative lego building club. Each event will have a challenge to inspire the builders. Registration is required.